The day was perfect, the whales were active and Greg guided us flawlessly. Only problem - it had to end. We had an excellent kayaking and snorkeling experience with Zach. He prepared us well for what to expect, getting in and out of the kayak, and telling us about the area and the fish. He was patient, informative and entertaining. The outing was well paced. 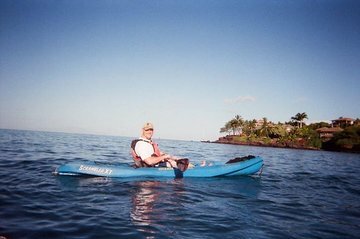 Zach's passion for Hawaii and being on the water made this a fun and entertaining experience. Highly recommended! This trip was the highlight of our entire vacation. Thank you Tyler for making it so relaxed and fun! We really appreciated the beautiful tour, the expertise and the turtles! Would give this more than 5 stars if so could. The operation of the tour is highly subject to surf conditions. Our trip was postponed 4 times due to high swells. Once we went out, it was an enjoyable kayaking experience. We saw several whales and spent a nice hour or so on the water. The snorkeling part of the trip was cut a bit short, and were not sure why. The whole event took less than 2 hours, much less than the 2 1/2 hrs advertised. Our guide did not get in the water with us. We had minimal instruction compared to what we heard from other tours that were near us. The second place we snorkeled was accessible from a roadside beach for free. We loved the tour! It was my Son's birthday and our guide, Scotty, made it very memorable. He took time to explain everything, gave us a lot of freedom to explore. He took great pictures and created an awesome CD of photos for us as well. Had a wonderful time! Scotty our guide was very knowledgeable and attentive. Funny and just an all around good guy. Very Eco friendly and the small groups are the way to go. My family and I would recommend this to anyone. 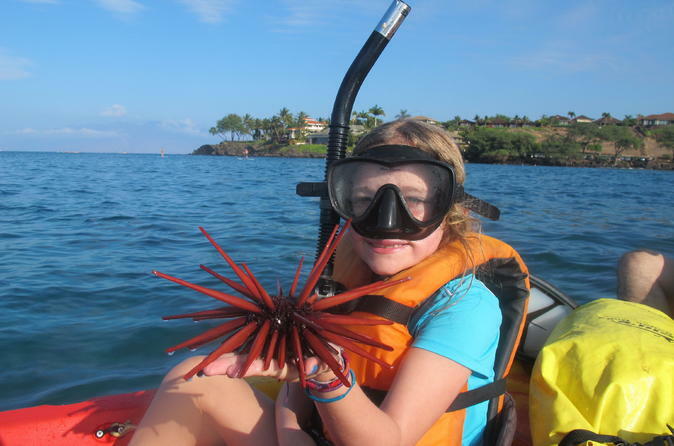 This was an excellent Kayak and Snorkel trip. Our guide was great and had lots of experience finding turtles in the area. We saw many turtles and our 7 year old daughter had a great time. Fun and professional staff. Wonderful way to spend our daughter's 14th birthday as a family!